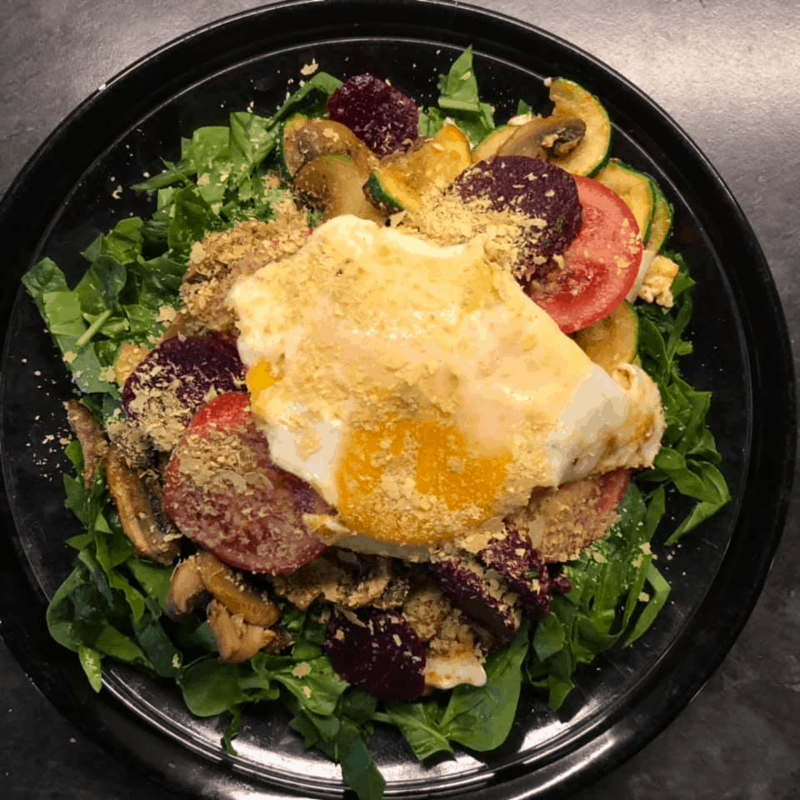 Beyond all the words and numbers on Optimising Nutrition, it was great to see the food people created in response to the Nutrient Optimiser challenge when they focused on improving their micronutrient profile on the first Nutrient Optimiser Challenge. People found that sharing their food photos with the Nutrient Optimiser Facebook Group was a great way to stay accountable and get feedback from people on the same journey. It also inspired a lot of creativity. It has also been a great way to build the database of nutrient dense meals and recipes in the Nutrient Optimiser that will help future users optimise their micronutrient profile. These nutrient-dense meals don’t fit neatly in a category. Everyone used the tools in the Nutrient Optimiser to improve their nutrient density in their own way. As they say, a picture paints a thousand words, so here is a selection of some of the meals that people created when trying to improve the nutrient density of their diet as part of the challenge. Check out the Nutrient Optimiser Facebook Group for more photos and all the details of the recipes that sit behind these. We’re hoping that the next Nutrient Density Challenge will produce even more fantastic food photos that show what highly nutritious and satiating food looks like. We’d love you to get on board and be a part of it this time around if you’re interested in optimising your food choices at a micronutrient level. But enough said. On to the photos.